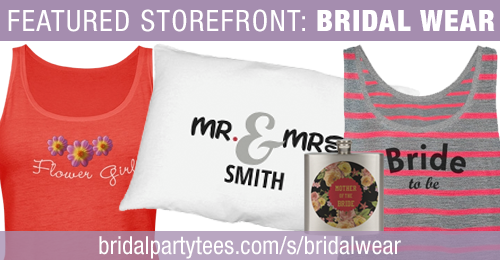 Bridal Wear offers a mixture of apparel and accessories for the entire bridal party. Bridal Wear makes it easy for the customer to find designs on shirts, sashes, and bags for any member of your bridal party. 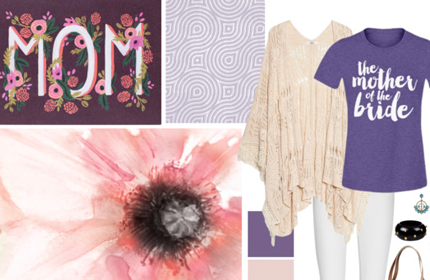 Add names, dates, or incorporate wedding colors, every design in Bridal Wear’s storefront can be customized to make it even more unique and special for your big day. What makes Bridal Wear our storefront of the month is their continuous effort to stay up to date with what’s new and trendy and then putting the effort to add designs to those categories. They are eager to learn and make their storefront the best it can be. 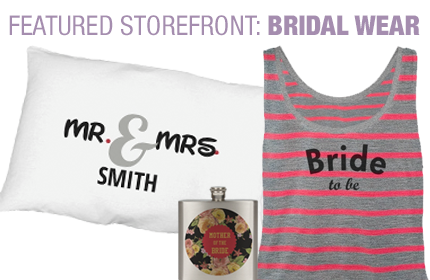 Bridal Party Tees could not ask for a more passionate and dedicated storefront than Bridal Wear. We want to encourage other storefronts to follow their lead in taking full advantage of wedding trends and all of the fashionable apparel that we offer. 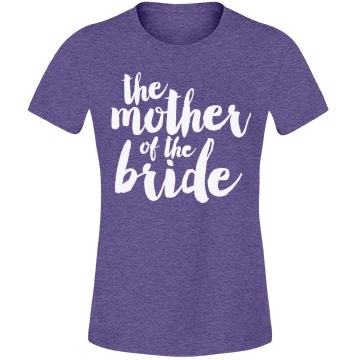 You will be sure to make your bachelorette party or wedding extra memorable with Bridal Wear’s custom apparel! Planning a wedding takes a lot time and can be downright stressful. With all these intricate details and pricey deposits in place, you couldn’t be more ready for some fun in the sun at your destination bachelorette party or that relaxing honeymoon. One of the main essentials you need for a successful getaway is a swimsuit and not just any swimsuit but one that screams you are the bride to be. 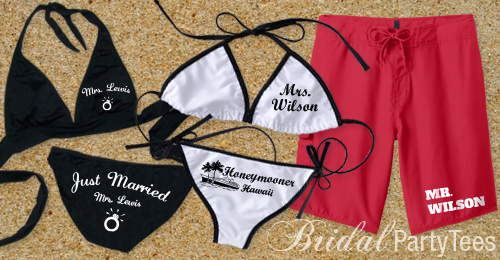 Bridal Party Tees has added a gallery full of bridal bikinis and accessories to make these moments even more memorable. Bachelorette bikinis are a great way to let everyone know that it’s your last night out as single lady and you are ready to party. Be playful, funny, or just keep it simple! Our easy to use design center allows the user to customize any design in our gallery. Add art, dates, and names to make each design extra unique. We love our hot days in the sun, but be sure to protect yourself from the harmful rays! Go all out with matching accessories like a custom cover-up, custom sun hat, or neon hat to really make a statement while you are partying on the beach. Don’t worry fellas, we haven’t forgotten about you! Bridal Party Tees has recently added custom groom boardshorts to give you and all your groomsmen a unique clothing alternative at your bachelor party. 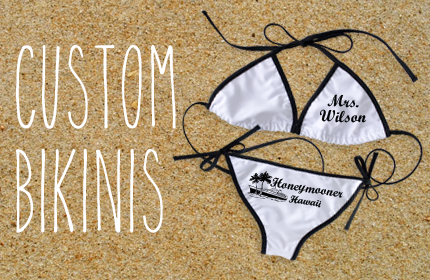 Better yet, surprise your bride to be by creating matching Mr. and Mrs. swimsuits for your honeymoon – she’ll love it!